An up and coming player in Seattle’s craft coffee scene is bringing his take on the subtleties of a good brew to Capitol Hill. “It’s really a simple kind of core idea with the coffee but we’re doing every little small thing we can to make it better,” Christos Andrews tells CHS about Ghost Note, the new multiroaster cafe set to take over the Bellevue Ave home of Broadcast Coffee. And a good day to everyone :) i guess i’ll just make this short and sweet, maybe a touch of bitter to round things out, but such things are to be expected when things just dont seem to go the way you want them to. A man matching the description and modus operandi of the suspect who held up E Madison’s IHOP restaurant where he threatened that he had a gun early Friday morning has apparently pulled off another heist. Police were searching Sunday morning for the bandit who again implied he had a gun in a midnight hold-up of J’s Quick Stop on Bellevue Ave just off E Pine. The suspect description in the 1 AM Friday IHOP heist and the description of the thief in the midnight robbery at J’s are nearly identical — an older black male possibly in his 40s, heavyset, and bald. This time, he was sporting all grey sweats during the heist and was last seen running eastbound on Pine from the scene of the crime. While a search for the suspect was not immediately successful, a person at the store said he had seen the man shopping at the market before. The maturation of the Capitol Hill food and drink scene includes enough weapons of modern marketing that it is often difficult to sort the hype. Some new projects launch in a massive cloud of buzz and attention. While others, for whatever reason, appear more quietly. The arrival of Spaghetti Western on Capitol Hill has thrown the buzz machine for a loop. On one hand, it’s only Aleks Dimitrijevich’s re-concept of an existing venue. On the other — and this would be the trigger hand, gunslinger — Spaghetti Western is the embodiment of the latest ideas from a restauranteur who created one of the most popular, no-gimmick restaurants on Capitol Hill only to crumple it up and start fresh with a concept so out in the tumbleweeds, some people still think it’s a joke. “There’s definitely some ‘wink wink’ in it,” Dimitrijevich told CHS this week as he reopened on Bellevue Ave for the first time since shutting down La Bete earlier this year. The Sterling — the 1950s-era 323 Bellevue Ave E apartment complex CHS called the “anti-aPodment” for its design mimicing the privacy of a single family home environment — is not an official Seattle landmark. The Landmark Preservation Board rejected the property from the city’s protection and monitoring program last month. While landmark nomination activity in Seattle is often connected to pending sales and development plans, there are no records of any transactions or construction planning currently filed for the address. The Sterling was completed in 1956 and named for original owner Sterling Taylor, “a Seattle attorney and polio survivor who worked as an advocate for people with disabilities,” according to the nomination. He and his wife, Frances Taylor, developed the property and managed the apartments until his death in 1972. In 2005 after a series of owners, Dan Chua bought the property for $1,050,000. Seattle Fire battled a challenging apartment building fire in the 300 block of Bellevue Ave E Thursday morning. The fire could be seen shooting flames from the top of the five-story brick building at 305 Bellevue Ave E. The fire was first reported just before noon. A column of dark black smoke churned into the air and could be seen from across the city. We do not have any information about reported injuries or damage at this time. The Roy Vue Carroll Kensington building was constructed in 1908 according to King County Records. Seattle Fire categorized the blaze as a two-alarm fire indicating a higher than usual level of resources committed to the response. Around 90 firefighters were part of the response. The Red Cross said it was dispatching its disaster response team to assess needs and provide assistance. The fire marshall has been called to the scene to investigate. UPDATE: Seattle Fire says “improperly discarded smoking materials” on the deck caused an estimated $25,000 damage to the building’s roof and also caused a propane tank to explode. There were no injuries. A two-story, 6-unit Bellevue Ave apartment building designed in the spirit of a single family home during a brief Capitol Hill development boom in the 1950s will be considered as an official Seattle landmark this week. The longtime landowner of the Sterling Apartments at 323 Bellevue Ave E is bringing the nomination forward. Though the landmarks process can often be the first public step in developing a property, there are no records for active projects on file for the address. A 2006 plan to demolish the building and build a new two-story, 10-unit apartment building never got off the ground. A fire in a 6-story Capitol Hill condo building was quickly brought under control thanks to the sprinkler system and Seattle Fire Wednesday morning. Flames and smoke were reported around 10:10 AM coming from a fifth floor unit of The Meritage building at 124 Bellevue Ave E just below The Biltmore apartments. SFD units filled the streets around Bellevue Ave E and E Loretta Pl as media helicopters hovered above during the brief response. The fire was declared “tapped” about 20 minutes after the initial dispatches. The subsequent clean-up of the unit where the fire began and neighboring units damaged by smoke and water required what was expected to be a long stay by SFD units on the scene. Bellevue Ave E in the area remained closed for traffic as the clean-up continued. Just a seven-minute downhill (eight-minute uphill?) walk from his neighborhood favorite Joe Bar, Wylie Bush has opened the new Barjot cafe on Bellevue Ave E.
The cafe replacing the shuttered Chico Madrid in the Belroy Apartments development made a quiet debut Tuesday. Instead, you’ll find excellent coffee, a new robust offering of in-house baked goods and pastries from baker Maegan Rasmussen — and, eventually, fresh-squeezed juice. Bush said beer and wine will also be on offer and — possibly — liquor could be part of the longterm plan. The planned juice bar elements are planned to be added as the cafe’s hours expand later this summer. For the first couple of weeks, expect 6 AM to 2 PM hours of service. Check out barjotseattle.com for more details as things settle in at 711 Bellevue Ave E.
Capitol Hill’s cafe lovers are doubly blessed this summer — Cafe Solstice Capitol Hill is also open for business just off Broadway. Ten minutes before he would be shot and killed by Seattle Police Department snipers on the morning of July 5th, 2013, Joel Reuter wrapped himself in a rainbow flag while holding a handgun inside his Capitol Hill apartment. Earlier that morning, neighbors had called 911 saying they heard gunshots come from Reuter’s window. 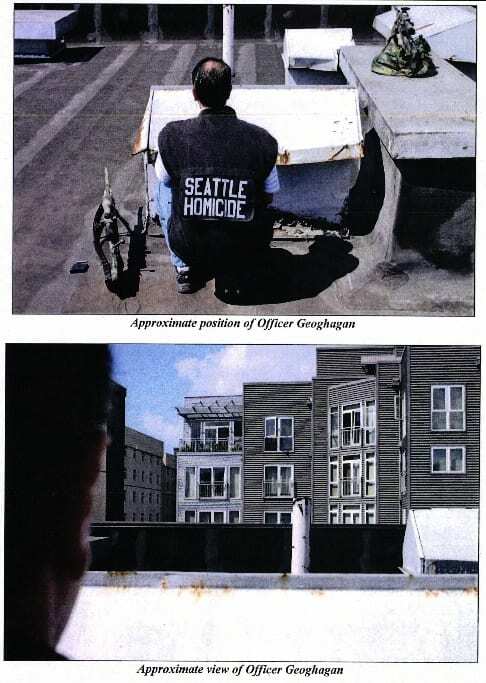 The details surrounding Reuter’s eight hour stand-off with police have been documented in a 900-page SPD inquest, recently obtained by CHS. While the fact-finding investigation chronicles much of what happened on the day of Reuter’s death, police investigators did not make any judgements on the SWAT team’s use of force.